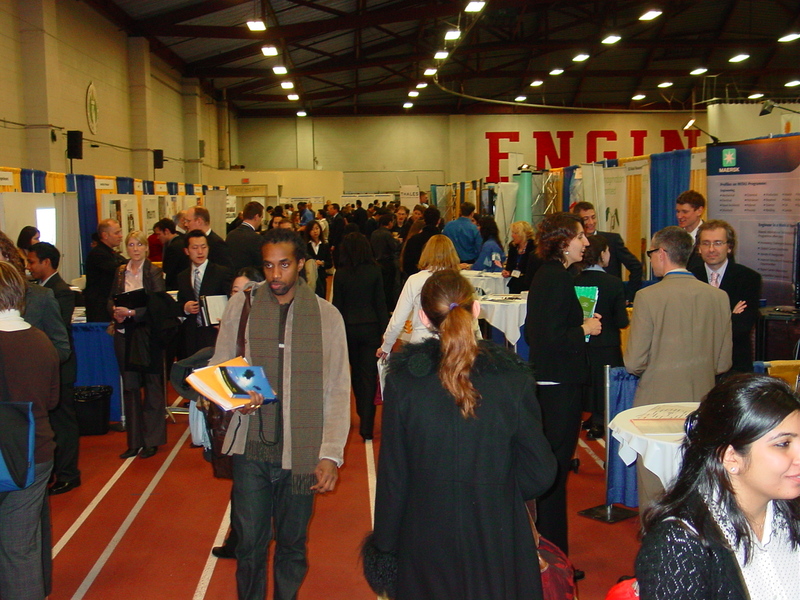 An optimal opportunity for any company to present itself in a professional environment such as the MIT campus. 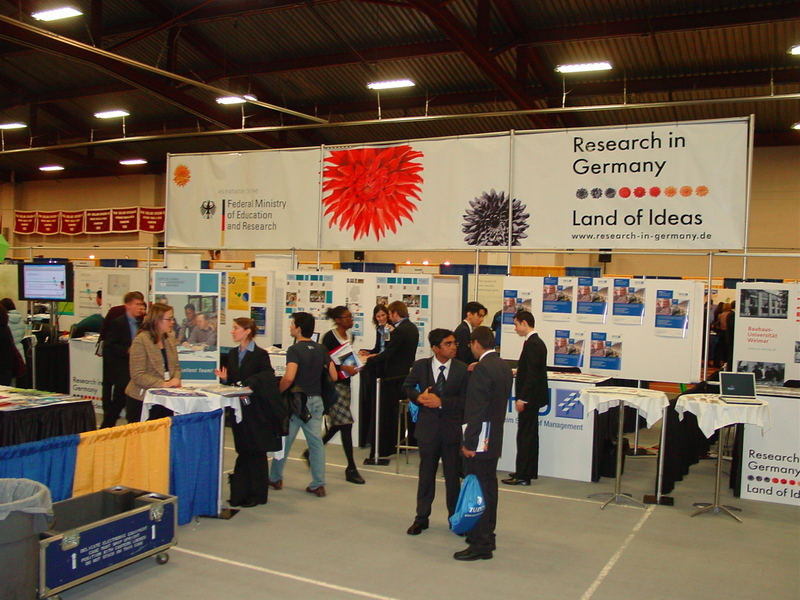 In 2007 more than 4000 students submitted their resumes to be selected by one of the many (more than 100) companies that presented themselves in 2007 at the European Career Fair. Germany was huge at this year’s ECF. More infos at http://ipressl.com/Exchange.html and https://www.euro-career.com/. 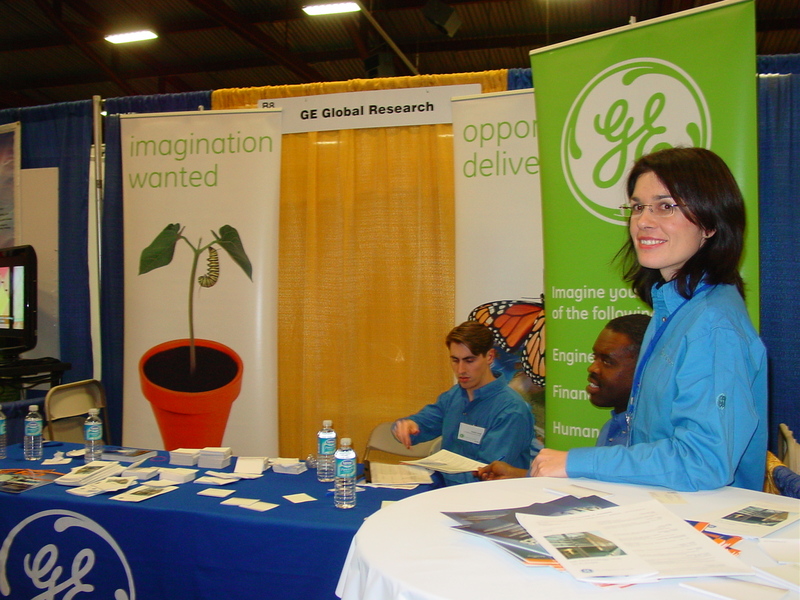 General Electrics booth at the ECF 2008. After I showed them my CV and had a conversation about their company and company’s projects and goals. They are still smiling! Meanwhile, the MIT-Austria idea has found frutation in the region Carinthia, in Austria, where currently an office is being established. This office will be one of the primary positions in Austria to be in contact with MISTI, an organization at MIT, which „offers tailored, hands-on internships abroad for MIT students, study abroad opportunities, short-term workshops and language courses abroad, and funding for collaborative research between MIT faculty and international colleagues“. The first steps of the MIT-Austria office will be the creation of an MIT-Austria forum inside the already existing MIT-Germany program. Future milestones of the forum will be to establish a idea of the country Austria and its companies in the eyes students at MIT, so they will have an idea of the many possibilities that are available in Austria. At the same time, the MIT-Austria office will start contacting companies (profit and non-profit), as well as research facilities (universities,…) to become a partner of the MIT-Austria forum and offer spaces for MIT students to come to Austria for their research. 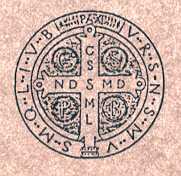 Other concepts of such a program are the exchange of use of research facilities and therefore the publication of papers. Furthermore, it can be possible for students and researchers in Austria to go to MIT for some time, as visiting students. I, myself, already had two visiting students in my lab and, I believe, both sides shared a great experience (link to Austrian newspaper article on a website that I have created on the social networking site www.Redwired.org, where I constantly post new stories about my works between MIT and Austria). Booth of the Netherlands Institute of Metals Research at the ECF 2008. I also listened to their talk, which was a very interesting excerpt of life of a successful and growing research facility in Europe. I told him what a great pleasure it was for me to see an Austrian booth at the ECF, after having fought for one, back in 2007. I immediately, while walking back to his booth, introduced him to the idea of MIT-Austria and MISTI and he was very interested. At the ECF, I also met Philipp Marxgut, who is the Director and Attache for Science & Technology at the Embassy of Austria, in Washington, DC. I managed to organize a short meeting between Stefan Eichenberger, Philip Marxgut, Sigrid Berka (Coordinator of MIT-Germany) and myself. Certainly, the outcome was very motivating and I will meet Stefan and the entire team of brainpower-austria at the end of March, when I am back in Austria, to speak about further plans of MIT-Austria and a possible collaboration with brainpower-austria. 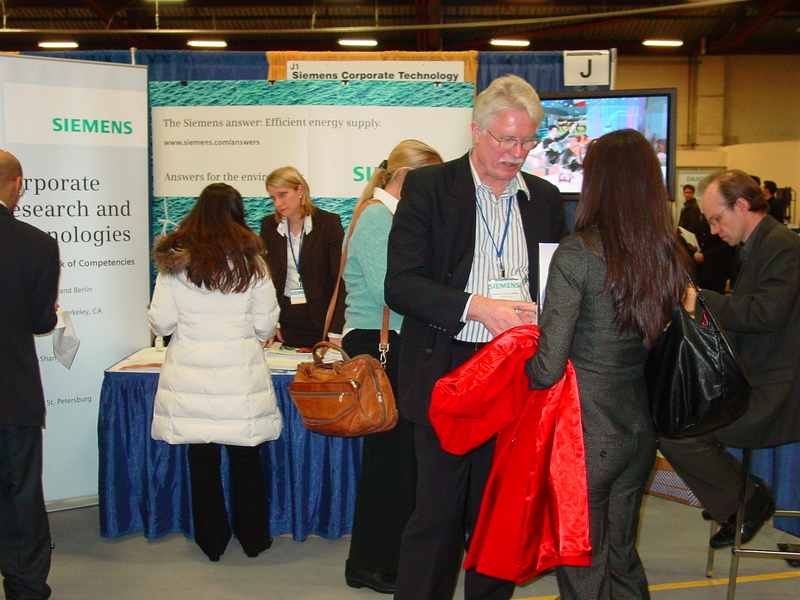 Siemens booth at the ECF 2008. I was amazed to find out that one of the coordinators of the booth (and leader of the Materials Department) knew one of my former Professors from the Montanuniversitaet in Leoben, Austria. 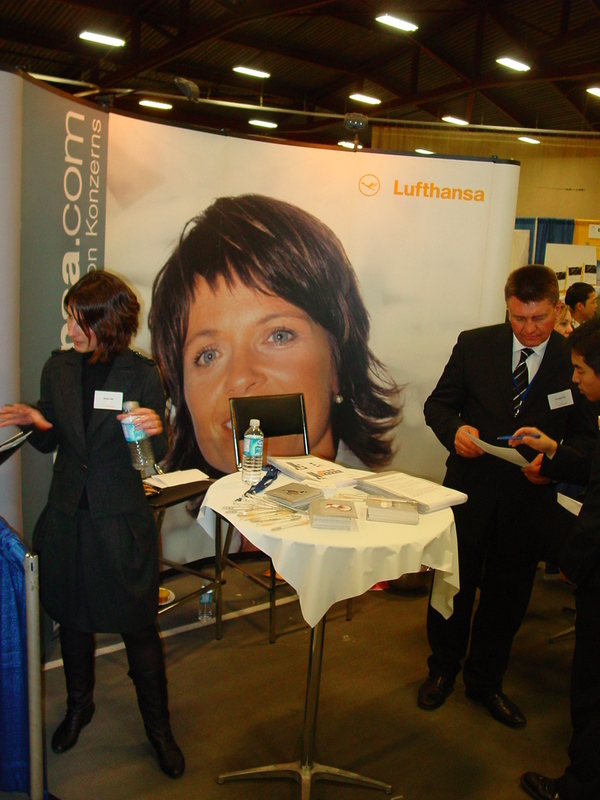 The very busy Lufthansa booth at the ECF 2008. Lufthansa is huge at MIT, every month I at least get one email from Lufthansa, asking if I am a scientist interested in aviation, speak german and want to work for them. Impressions of this year’s ECF 2008 at MIT. 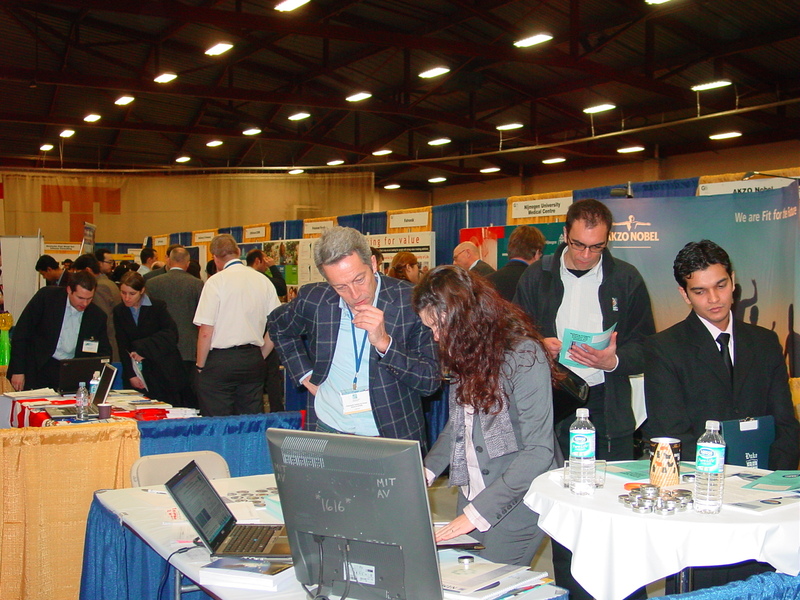 The booth show took place in the Athletics Center. Thanks nice if a little slow, but the site is opened.